EPSU CJ is a non-profit association created on September 19th 2007 in Luxembourg. 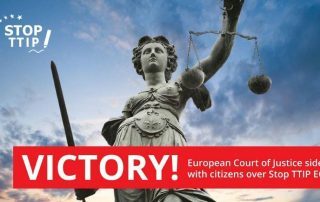 Its purpose is to involve officials, agents or pensioners of the Court of Justice of the European Union in solidarity with those of other European institutions and bodies and with the world of work in general. Its origins: EPSU CJ came out of a split of Union Syndicale Luxembourg, in which it was part of the pro-federal minority movement. However, its full affiliation with the Union Syndicale Federation (USF) had to wait until the Federal Congress in Dubrovnik in May 2015. It works for the reconstruction of the USF in Luxembourg in close collaboration with the USF-Lux and the US European Parliament. EPSU CJ is the only representative staff organisation at the Court of Justice, which allows it to also participate in consultations with the Council. In addition, it participates in consultations with the Commission under the cover of the USF. WEBSITE: http://epsu-cj.lu/ -lots of info and news !